James Clapper appears to have an unusually casual relationship with the Truth. 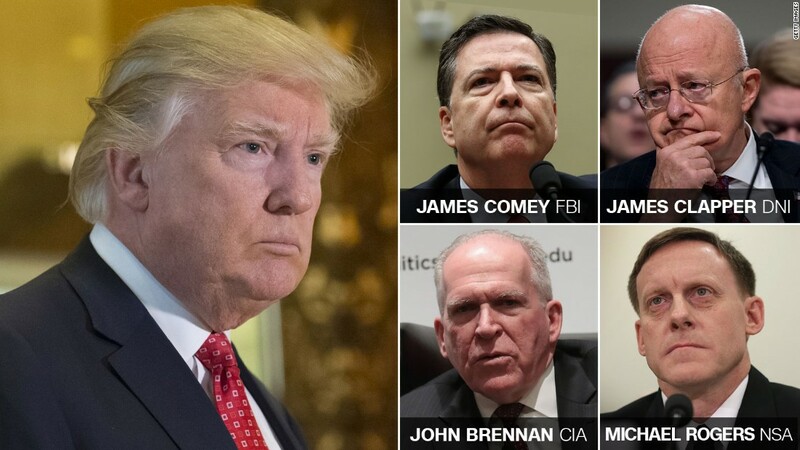 Clapper – along with John Brennan – was the architect of the Intelligence Community Assessment (ICA) – Assessing Russian Activities and Intentions in Recent U.S. Elections. Former DNI James Clapper, former CIA Director John Brennan and to a lesser extent, former FBI Director James Comey (Strzok was also involved). The ICA was used to push the Russian Narrative. And despite assurances from both Clapper and Brennan, the Dossier was used in the ICA. We did not include it in the body of our intelligence community assessment. We couldn’t corroborate the sourcing, particularly the second and third-order sources. Although carefully spoken – with the nuance missed by most – even this misleading parsing of words was not correct. Some of the substantive content of the dossier we were able to corroborate in our Intelligence Community assessment from other sources in which we had very high confidence. When we did our Intelligence Committee assessment, we were aware that there had been research done and that some Republican candidates had contracted through – I think – Fusion GPS. In a March 5, 2018, letter to House Intelligence Committee Chairman Devin Nunes, Adm. Rogers informed the committee that a two-page summary of the dossier – described as the Christopher Steele information – was added as an appendix to the ICA draft and that consideration of that appendix was part of the overall ICA review/approval process. The Intelligence Community Assessment is IC gibberish. Meanwhile, Clapper was just getting warmed up. GRASSLEY: Have you ever been an anonymous source in a news report about matters relating to Mr. Trump, his associates or Russia’s attempt to meddle in the election? GRASSLEY: Did you ever authorize someone else at your organization to be an anonymous source in a news report about Mr. Trump or his associates? On April 27, 2018, the House Intelligence Committee released a declassified version of their complete report on Russian election interference – Report on Russian Active Measures. The Intelligence community Assessment was released internally on January 5, 2017. Rice would later send herself an email documenting the meeting. A declassified version of the Intelligence Community Assessment was released on January 6, 2017. The same day Brennan, Clapper and Comey attached a written summary of the dossier to the classified briefing they gave Obama. Later the same day (January 6), Comey met with President Trump to inform him of the Dossier. This meeting took place just hours after Comey, Brennan and Clapper formally briefed Obama on both the ICA and the Steele Dossier. There was something that Clapper wanted me to speak to the PE [President-Elect] about alone or in a very small group. Clapper directed FBI Director Comey to speak with then President-Elect Trump. Because that was the part that the leaders of the intelligence community agreed he needed to be told about. Clapper told Comey specifically what to say to then President-Elect Trump. These are Comey’s words from an interview with CNN’s Jake Tapper. TAPPER: Did you brief him about any — any of the other things in the Steele dossier, claims that his associates, Michael Cohen or Paul Manafort, were potentially working with the Russians? Or was it only about the prostitutes? Media like CNN had them and were looking for a news hook. I said it was important that we not give them the excuse to write that the FBI has the material. The media had widely dismissed the Dossier as unsubstantiated and unreportable. It was only after learning that Comey briefed President-Elect Trump that CNN reported on the Dossier. DNI James Clapper personally leaked Comey’s meeting with President Trump to CNN. When initially asked about leaks related to the ICA in July 2017, former DNI Clapper flatly denied discussing the dossier or any other intelligence related to Russia hacking of the 2016 election with journalists. Clapper subsequently acknowledged discussing the dossier with CNN journalist Jake Tapper, and admitted that he might have spoken with other journalists about the same topic. Clapper’s discussion with Tapper took place in early January 2017, around the time IC leaders briefed Obama and President-elect Trump, on the Christopher Steele information, a two-page summary of which was enclosed in the highly-classified version of the ICA. The allegations were presented in a two-page synopsis that was appended to a report on Russian interference in the 2016 election. The allegations came, in part, from memos compiled by a former British intelligence operative, whose past work US intelligence officials consider credible. This article would later be updated and have a January 12, 2017 date. It unleashed a firestorm of controversy. Clapper’s entire statement was a formal lie. Every word of it. Note specifically how Clapper’s statement reaffirmed the Dossier and specified that Clapper had now discussed the Dossier with President-Elect Trump. Directed Comey to discuss the Dossier with President-Elect Trump. Told Comey to inform Trump of only the salacious details. Leaked details of Comey’s meeting with President-Elect Trump to CNN. Issued a statement condemning his own leak. Despite full awareness of the Dossier, Clapper repeatedly denied any knowledge of the Carter Page FISA Warrant and continued to deny leaking to the media. TODD: And at this point, you can’t confirm or deny whether that [FISA] exists? Clapper: This was simply an extension of uh, the original, uh, FISA request. Meaning that, or implying, that apparently, there was information that was considered, uh, ‘valuable’, that was being obtained, via the initial FISA request. FISAs have finite dates. In other words they have deadlines; they aren’t indefinite. On its face, I don’t know that the dossier played very much, in this at all…. As it turned out the Dossier played a huge role in the FISA Warrant. Deputy FBI Director McCabe testified before the Committee in December 2017 that no surveillance warrant would have been sought from the FISA Court without the Steele dossier information. Ask yourself what the chances are that Clapper had no knowledge of that Carter Page FISA. And if Clapper really didn’t know what does that say of Clapper & the FBI. After all, Clapper was the Director of National Intelligence. I’ve written on FISA abuses uncovered by NSA Dir Rogers. And how DOJ’s NSD Head John Carlin intentionally hid these abuses from the FISA Court. It’s highly improbable that Clapper didn’t know about the FISA Abuses as well. On January 7, 2016, the NSA Inspector General, George Ellard, released a report on NSA Controls & FISA compliance. The report detailed a number of abuses & problems. Neither the NSD (Carlin) or ODNI (Clapper) disclosed this report to the FISA Court. 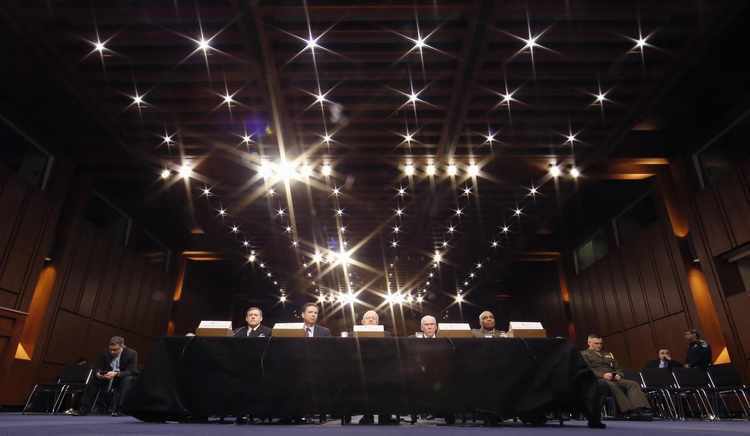 The NSD and ODNI perform the ongoing reviews of Intelligence Agency Section 702 use. It is simply not possible they were unaware of the NSA Inspector General’s Report. James Clapper had to know of this Report. He also knew the FISA Court remained completely in the dark. DNI James Clapper & Defense Secretary Ash Carter submitted a recommendation that Rogers be removed from his post as NSA Director. The move to fire Rogers – which failed – originated sometime in mid-October 2016. Exactly when Director Rogers was preparing to present his findings to the FISA Court.